Najib says the Barisan Nasional is ready to face fresh elections, but tells elected representatives not to wait till the last moment to meet their constituents. 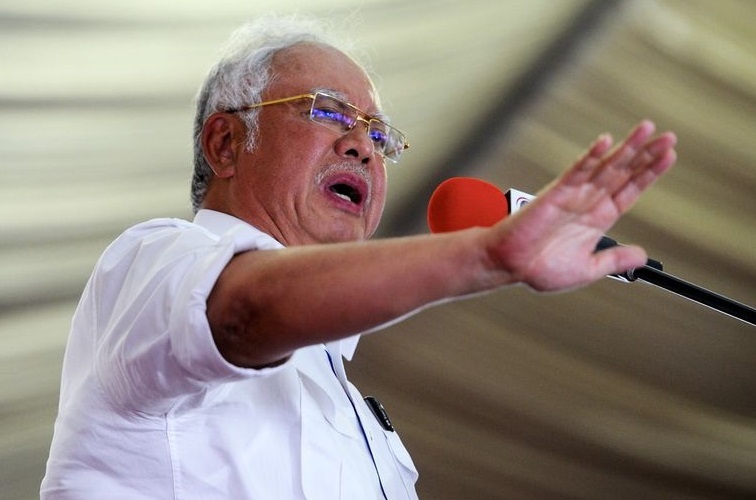 KUALA LUMPUR: Prime Minister Datuk Seri Najib Tun Razak said the Barisan Nasional (BN) is ready for the 14th General Election (GE14) even if it is called earlier. Najib, who is also BN chairman and UMNO president, said intensive preparations had been and were being carried out by UMNO and BN component parties and was confident their strong election machineries would ensure victory. “GE14 can be held this year or next year. Whether (it’s held) this year or next year, we will still win. We have sharpened the sword,” he said when launching Jentera Jalinan Rakyat Plus (JR Plus) at the Putra World Trade Centre here Friday. Also present were the Prime Minister’s wife Datin Seri Rosmah Mansor, Deputy Prime Minister Datuk Seri Dr Ahmad Zahid Hamidi, the top leadership of UMNO and its wings and leaders of Barisan Nasional component parties. However, Najib reminded BN leaders and the machinery not to think too much as to when GE14 would be called or who would be chosen as candidates but instead focus on their duties in winning over voters. He also advised the election machineries not to be too confident after winning the Sarawak State Election with a bigger majority and three by-elections, in Kuala Kangsar, Sungai Besar and Tanjong Datu despite BN having its own strengths compared to the opposition. “I mention this as I want to remind that we can win…We have won the battle but haven’t won the war,” he said. Najib said he was now holding on to the principle that a good preparation was needed to deal with something big like the general election. “I think we’re ready but we still have a bit of work to do. We must ensure that our machineries are doing their jobs,” he said. The prime minister also reminded the machineries to practice the principle of moderation in doing the work, especially at the grassroots level. “I want to ask (something), do take care of the hearts of people and voters. …Don’t start meeting them only when the election is drawing closer,” he said. Najib said doing this (taking care of the people at all times) would ensure that UMNO and the BN component parties, which were founded to champion for the people, would survive.